Just look at those grumpy eyes! We have a nesting pair of Great Horned Owls right on the greenbelt near the corner of Streams Edge and Claymore. They are using an old Magpie nest and the mate is in a tree nearby. They are extremely visible to the naked eye. Pretty cool! Please enjoy it without getting too close and agitating them. We want them to stick around so we can watch them raise the chicks. Eight Canada Geese were at the Avimor Town Lake this morning too. I've seen them fly over, but this is the first time I have observed them on the ground visiting Avimor. The Western Meadowlark and Killdeer continue to increase in numbers. The Starlings and Robins appear to be establishing their mates and nests. The Dark-eyed Juncos are still here in large numbers and they really seem to be enjoying all the seed I put out for last weekends bird walk. 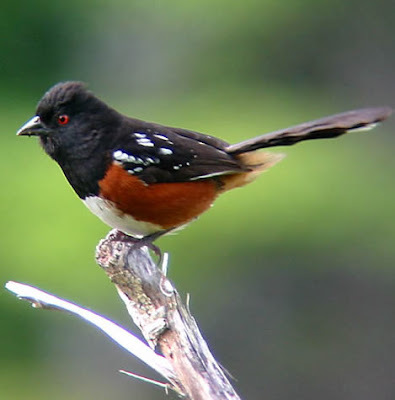 Celebrate Urban Birds: Avimor Community wins Mini-Grant! 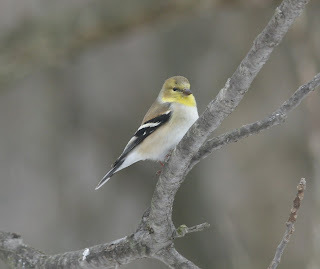 We just received notification from the Cornell Lab of Ornithology that the Avimor Community has been awarded one of the mini-grant prizes to carry out a Celebrate Urban Birds event. We are very excited about this opportunity. 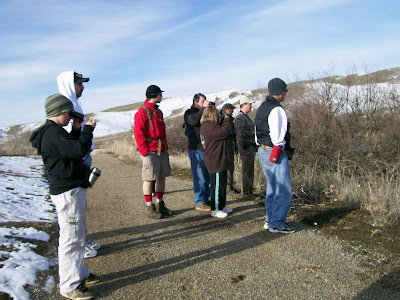 You can look forward to art projects for the kids related to the birds of interest, a short bird walk to Foothills Heritage Park, planting some bird and wildlife sustaining plants, and enjoying live music from a great local band. More details to follow over the next month! All the European Starlings in North America descended from 100 birds released in New York's Central Park in the early 1890s. 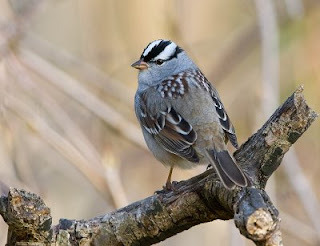 A group dedicated to introducing America to all the birds mentioned in Shakespeare's works set the birds free. Today, European Starlings range from Alaska to Florida and northern Mexico, and their population is estimated at over 200 million birds. 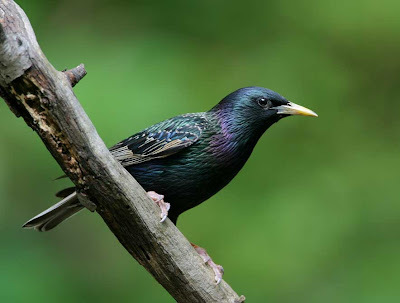 The Starling is actually a pretty and interesting bird if you take the time to watch it. In the right lighting it will have some pretty cool colors along with all the spots. Starlings can frequently be found along Spring Valley Creek at Avimor. I found a few this morning already taking up residence in some woodpecker holes. 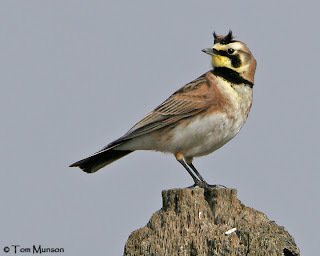 Horned Larks can be found in the hills throughout Avimor. They usually aren't down around the trees along a stream, but rather up in the more barren hills and on the edges of trails and dirt roads. A pretty reliable spot to find them is up around the water tank along Broken Horn Trail/Rd. 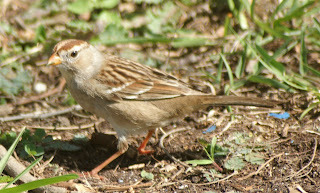 They are a very striking looking bird and often will let you get fairly up close views of them. 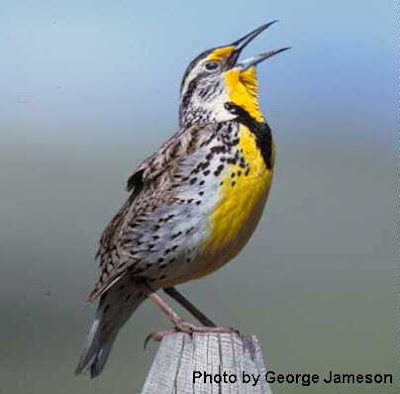 The Western Meadowlark is Avimor's most prodigious vocalist and they have returned for their Spring and Summer tours! Just about anywhere at Avimor you can hear them singing from the tops of sage brush or old wooden fence posts. 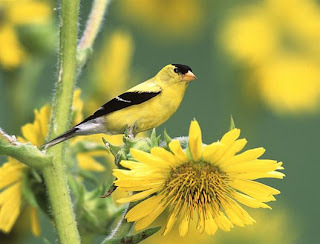 Put a pair of binoculars on one sometime and check out one of the most stunning shades of yellow! 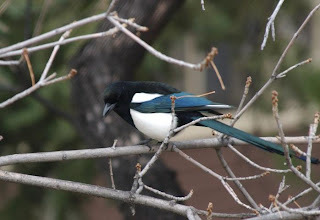 This morning I also saw a Black-billed Magpie working on a nest in some of the taller brush up on the hills at the entrance of Burnt Car Draw.